As a parent, you don’t want to leave your child alone even for a minute. Zicom Home Watch records and helps you view all events live on your mobile device from anywhere and at anytime. You can even talk and listen to your loved ones at home and make them feel your presence even in your absence. The Home Watch camera helps you keep a check on the safety of your loved ones and reassures you that everything is fine in your home & your world. 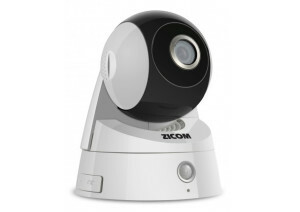 It helps you take immediate action in cases of emergencies as it records a video clip whenever someone enters your home. Working parents can now feel safe with Home Watch who watches and secures your home in your absence. Home watch reduces your mental & emotional worries and ensures you a stress-free life. Copyright © Genesis Telecom. All Rights Reserved.